Following the original, first-edition rock-metal Fortuna Skull, comes the 4th generation: the Fortuna Crowned Skull– for romantics! 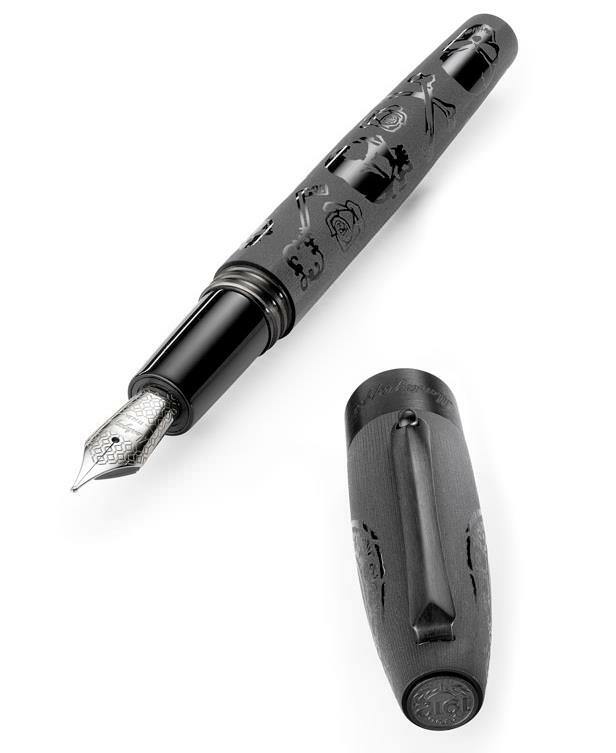 The cap and body of the pen are satin-finished to obtain a stylish, velvety matte look, not only soothing to the eye but comfortable to the touch. Its main design pattern is a prominent crowned skull on the cap, married to a body filled with romantic iconography, the roses and heart-shaped locks interspersed with the crossed bones associated with that most romantic of historical figures – the pirates that sailed the Seven Seas! These appear in glossy form, accentuating the matte background created by the satin surface of the resin. Etched into the cap are the visages of King and Queen Skull with two tiny red crystals hidden in their crowns. The hint of red embodies passion, underlining the spirit of the medieval romantics who inspired the latest Fortuna Skull.